Anyway, it seems that GSC will be setting an iDOLM@STER campaign in the WonFes, so their exclusive product is obviously iM@S-related. 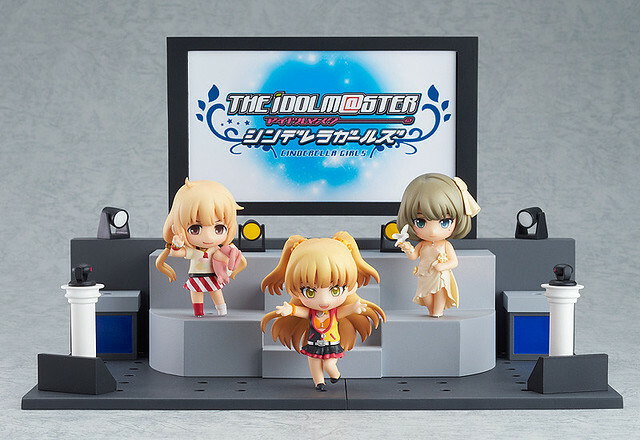 Yep, as you can see in the post title, it is going to be Nendoroid Petite: iDOLM@STER Cinderella Girls & Live Stage, which features three popular idols: Anzu, Kaede, and Rika in their stage costumes. Well then, are you iM@s fans aiming for this Petite set of cute idols? This entry was posted in News and tagged cinderella girls, idolmaster, nendoroid, petite, puchi.